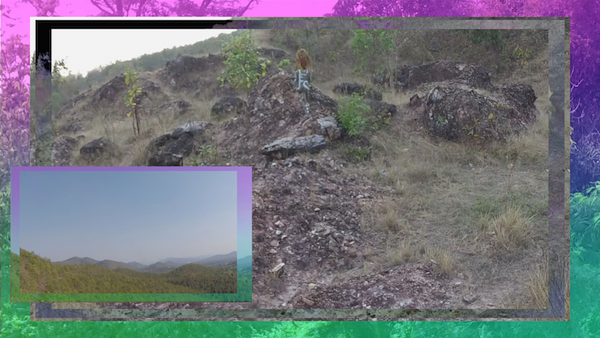 “there and here 2” is filmed in the jungle in The north of Thailand 2015. 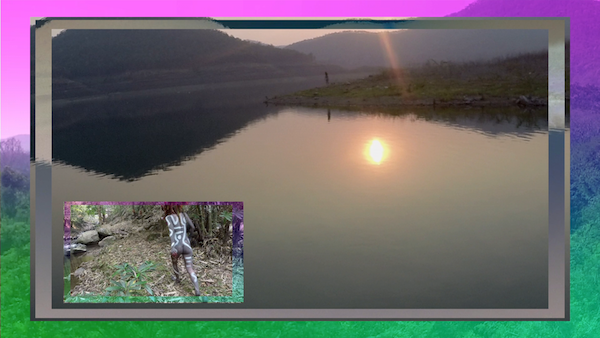 Filmed by drone camera from a birds-eye view, caught the characters of Shaman who is transformed by the artist from previous work “there and here”. The camera work is uncontrolled by cameraman, moving is more mechanical, like discover something unknown by the helicopter. 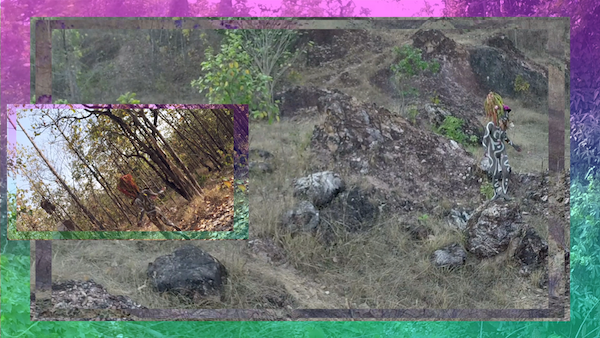 The video has many layers, background is jungle, and 2 channel video are on screen. It looks like virtual video game which is controlled by someone. Instead, it can be seen as a synthesis of these accumulated experiences and wisdom that Agop has personalized and reinterpreted.